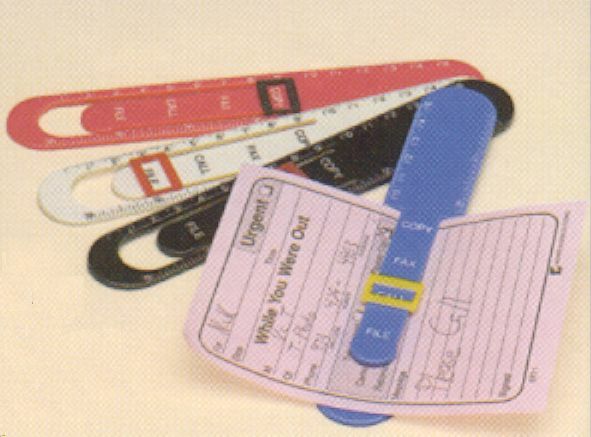 Features A 6" Ruler With A Message Clip. Ruler Can Be Used As A Message Clip. Has adjustable Message Tab To Indicate Action To Be Taken Such As Fax, File, Copy, Etc. Available In Blue, Red, White & Black. Size 7" x 1"